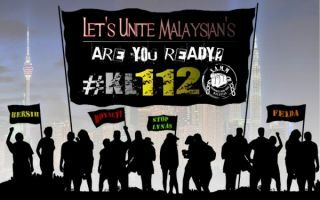 Malaysia’s GE13: The Young – Going with the Flow or Forging a New Future? How will young first-timers vote? Xmas Cheer: How Naughty Or Nice Have Malaysians Been This Year? So how naughty or nice have Malaysians been this year, across the board? Following its interview with LoyarBurokker Edmund Bon where he called the Bar Council toothless, FMT reports on the Bar Council’s response. LoyarBurokker and MyConsti’s Edmund Bon speaks to Free Malaysia Today about his frustration with the Council’s failure to effectively voice out against injustices in the nation and take care of its fellow lawyers. Bon also reveals that this will be his last term in the Bar Council. Considering the “relevance” of the OA community’s demands from the government’s perspective following a historic OA protest walk in Putrajaya on March 17, 2010. On March 17, 2010 The OA community took to Putrajaya for a historic walk and what seems to be the biggest gathering of OAever. This peaceful stage of protest and show of unison by the community was in response to yet another government policy that ignores their rights. About 2 years ago, a friend e-mailed a video link of a man on the phone mentioning names of people in the Judiciary. I instantly recognised the man as VK Lingam. (Much later, there was a second video link of the second half of the conversation.) But I am not a 1Video Forensic Expert, so I could be wrong. Perjuangan Peguam-Peguam: Cara dan Pengaruh Biasa v Berlainan? Amer Hamzah Arshad’s interview with Off the Edge for the December 2008 issue.